21 youth- led group from Vietnam, Occenden Cambodia, Thai Sik Kha Association, IMPECT Association from Thailand, Mennonite Central Committee from Laos, Kalyana Mitta Development Foundation from Myanmar, and Norden Travel from China to attended the Advocacy training. The activity organized on November, 11-14, 2014 at EarthRights Mekong School, Chiang Mai. The result of Advocacy training has been the youth learning about the meaning, procession, and importance of campaigning. The training made youth learned about: Who are our audiences (our target). What is connection between the problem and the audience? The people are suffering what effect on this situation. What is our audience’s interest in problem? We need to know and we need to ask ourselves before we make campaign and advocacy. When we implement our campaign, we have to use our Head and our Heart. They learned about information and data: we need to be sure of our evidences against large-scale projects. We need to collect more and more information and data. They learned that the message has to be short and sharp. Do not break the message by our-self. We always have to keep and take care of our message. When doing the campaigning it is important to think about solution and risk. We need to be prepared about the process to solve the problem. The advocacy process had many ways: lobbying, Television interview, press conference. Every process needs to make plans and choose who will be the leader. The process of the training youth could participate for shared opinion, experience and presented to other participants and practice how to do action in the real situation. After finished the training, the youth were meeting and discussed for created the process, messages, topic, and the leader of campaigning. 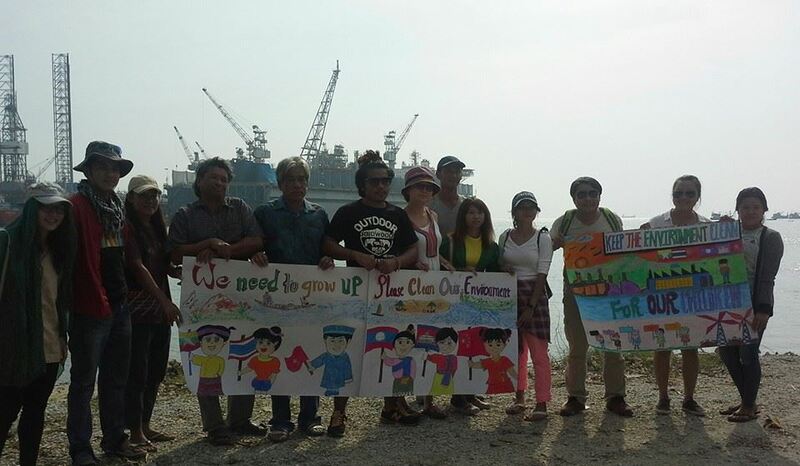 And they were taking action with villagers during study trip at Map Ta Put, Laem Cha Bang, Ban Krut, and Bor Nok. They were creating the song and video posted in Youtube. 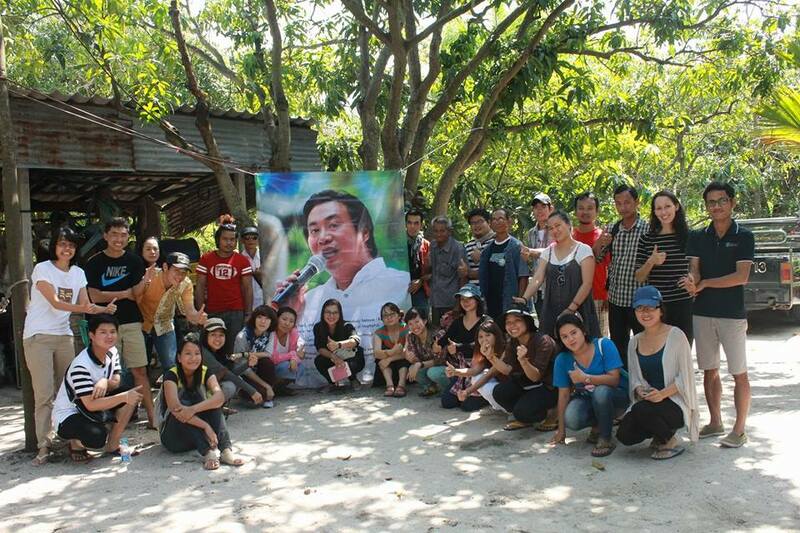 25 youth from six Mekong countries participated in the study trip. We went to four filed trip including: Map Ta Put, Rayong Province, Laem Cha Bang, Chon Buri Province, Bor nok, and Ban Krut, Prachuap Khiri Khan. Map Ta Put, Rayong Province, the area action was Industrial Estate is one of development projects in Thailand. The local peoples had to move to other place, lost their lands, especially children get affected by environment toxins and pollutants in air, water and soil. Lots of children get health problems. Until now the villagers are demanding compensation from Thai government and companies. Laem Cha Bang, Chon Buri Province the area action was Deep Seaports. Thai government have done already two projects and now had plans and tried to run third Deep Seaport project. The local peoples disagree with third project. They are standing up to protect their community. Bor nok, and Ban Krut, Prachuap Khiri Khan, they are neighbors and good friends because since 1992 Thai government tried to build the power plant. 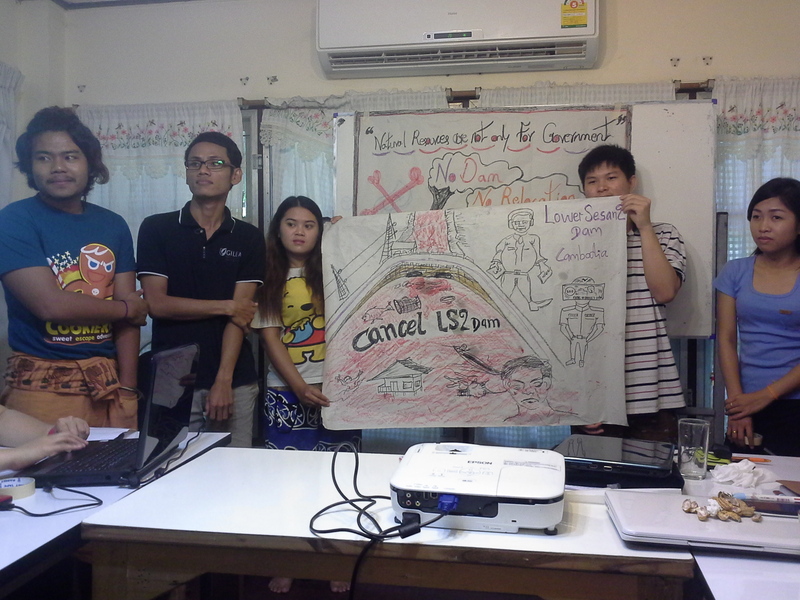 Local peoples were fighting with Thai government and companies. They lose their leader and their family. Until now the power plants couldn’t count on their success yet. The result of activities has been the youth learning about campaign against the industrial zone (coal power plant), the Deep seaport and what are their achievements and what are their difficulties during their campaign. They studied about the impact from the industrial zone and about their community leader. They studied about the research. They were learning about the process collecting information, data and evidences. They were learning about community rights strategy. They studied both violent campaign and non-violent campaigning. They saw very strong community and very active community leaders. After finished activities, youth led- group adapted their knowledge with their work and shared their knowledge to their friends, communities volunteers, communities leaders, colleagues, own organization, other organization. They organized environment training for local peoples. Such as youth from Myanmar joined workshop with Extractive Industries Transparency Initiative. He shared experience about advocacy training and study trip to participants in the workshop. He organized environmental awareness training and campaigning in his field work. 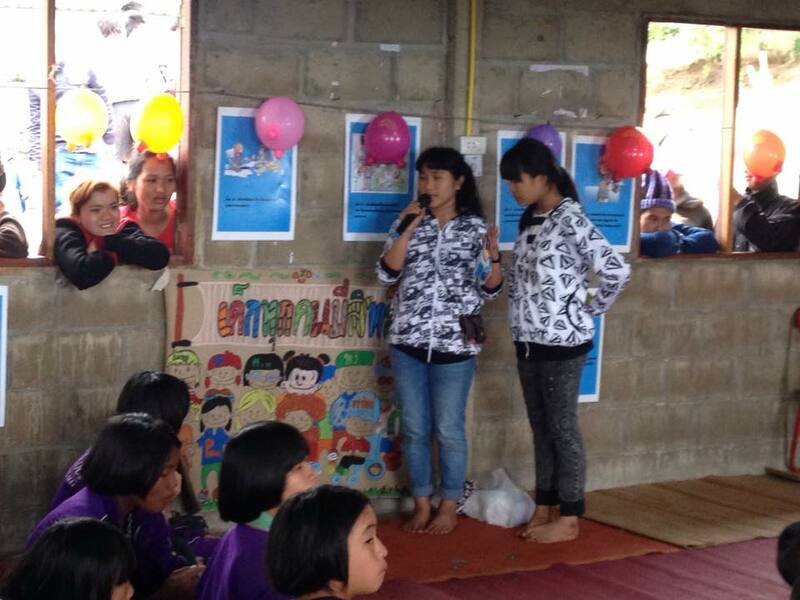 Youth from Thailand organized child rights protection campaign and child rights training at ethnic minority villages. She brought knowledge from advocacy training to adapt with her campaign. We organized the meeting to develop the ECR training curriculum. In the meeting we got information especially about development project getting impact to child life. Youth- led groups don’t have knowledge, skill and experience about CRC and ECR training. 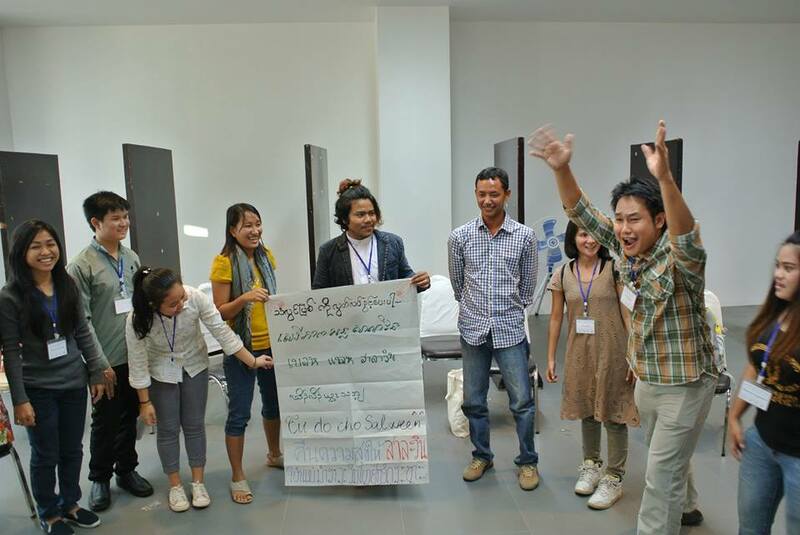 Youth- leaders want to organize ECR training for Mekong Youth- led. The result of the meeting, we got the concept of ECR training, plan and target group for the training. The ECR training will organize in 2015. The first training for youth-leaders from Mekong region, after the training we will organized the meeting for create ECR training curriculum together. Mekong Youth joined the 1st international conference on Salween-Thanlwin- Nu (NTS) Studies: “State of Knowledge, Environmental Change, Livelihoods, and Development” at Chiang Mai University, Thailand on the 14th and 15th of November, 2015. Participants are from Myanmar, China, and Thailand more than 300 peoples. They learned about the situation of China which has plans for a cascade of up to thirteen dams within its own borders – bound to run straight through the Three Parallel Rivers World Heritage Site – where the river is called the Nu Jiang. Meanwhile, on the lower stretch of the river, known as the Thanlwin in Myanmar and the Salween in Thailand, Chinese companies have partnered with the Thai and Burmese governments, as well as Thai developers, in plans for seven dams on the mainstream in Myanmar. To date, these projects have been planned without comprehensive basin-wide assessment on ecosystem and local livelihoods. The result of the conference has been young people had opportunities to exchange and learned experience from adult and other youth groups. They learned about how to protect their river without large development project. They had opportunities to share their opinion about the plan for protect their river, community, livelihood, couture, and protect environment. 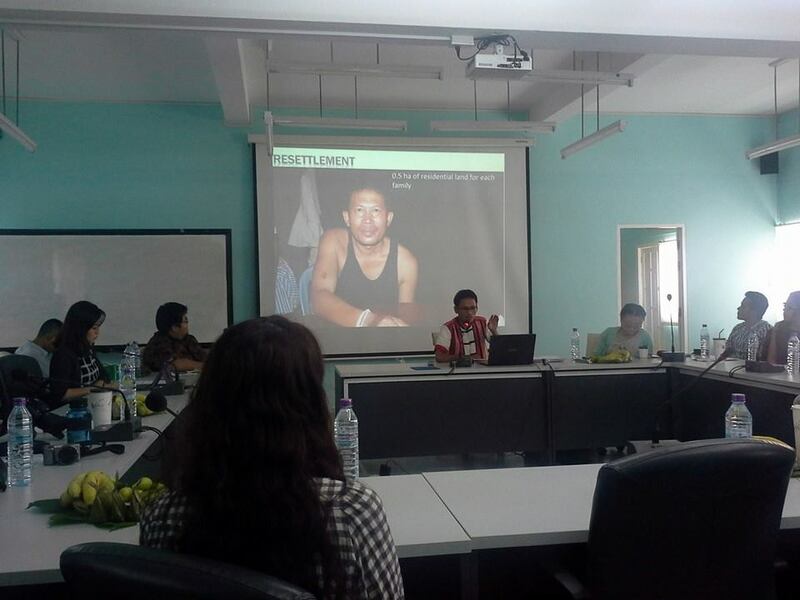 The youth joined Land and River Grabbing seminar at Chiang Mai University, Thailand on the 16th of November, 2015. The presenters were EarthRights Mekong School students had 12 researches. They presented their research. Their research about development project having impact on the local peoples, communities, destroys environment, livelihood, couture, lost the land, food security, and the family. The development project such as hydropower project, Mining, highways, deep seaport. The result of the seminar, youth learned about mostly the process of development project was dirty. The government and companies don’t respect human rights, don’t do agreement, don’t listen to local people’s voice and don’t allow local peoples participation. The same time they asked deeply about information of development project. Activities 6: International Youth Network-TDH G meeting online. 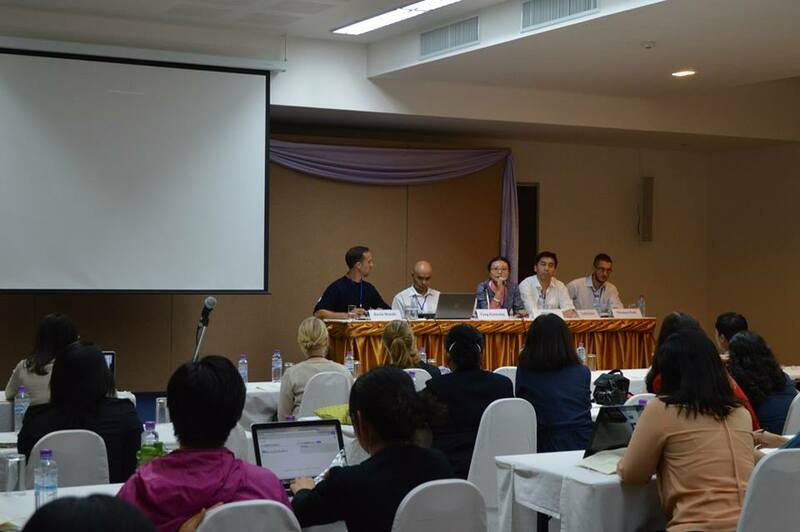 Every month we joined, shared and updated about Mekong Youth Assembly activities and Southeast Asia situation with International Youth Network-TDH- G. On the November 2014, Mekong Youth Assembly did campaigning about Children have rights 25 years of promises-Act Now with youth around the world. The result of campaigning was 25-30 countries action together, 152 activities, 60,000 youth participated. The activities were VDO, postcard, newspaper, radio, documentary, and walk street. Strengths: The member in each country has a strong commitment and volunteers want to do active campaign to stop human rights abuse, child protection and protect the environment. Young people interested to develop own project for working for own communities and would like to build real youth network corporation. Weaknesses: Youth still have no knowledge about large development projects, campaigning; they still have no skills to design campaigning process and to do efficient and continued campaign. The peoples in Mekong region have no knowledge about CRC and Ecological Child Rights. 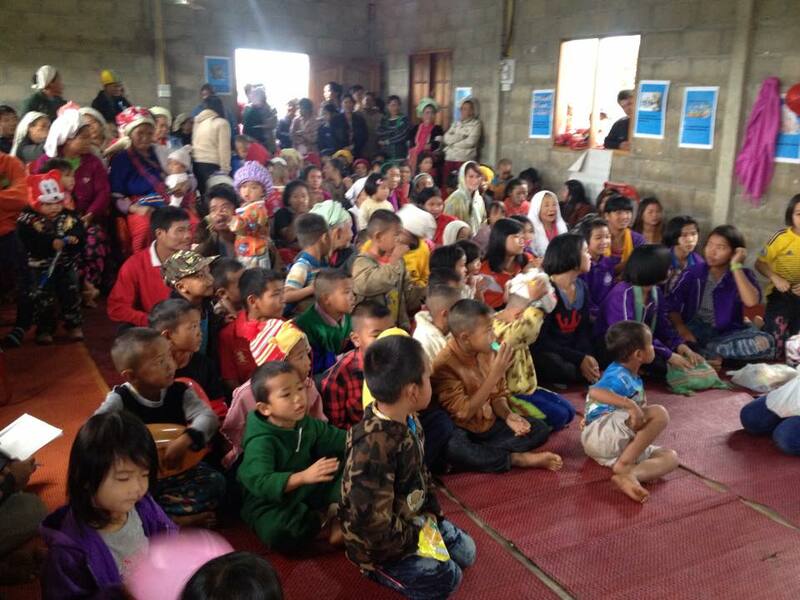 Some countries in Mekong region do not allow talking and doing activities about child protection. Opportunities: Both of the local NGO, international NGO, and funders are interested and emphasize the need to build a strong youth network that can stand up to protect their rights, communities, river, environment, and build an international youth network working together. Threats: Each country on Mekong region has their own policy for development projects focus on economic, which are built mostly on large scale hydro power plants, mining. The activities were based on community online: exchanges about large development projects, human rights abuses, and environmental issues on Mekong countries were shared by web blog and Facebook group. There have been meetings online and information sharing with youth on the Mekong region and International youth network; we did campaigning about Children have rights 25 years of promises-Act Now with youth around the world. 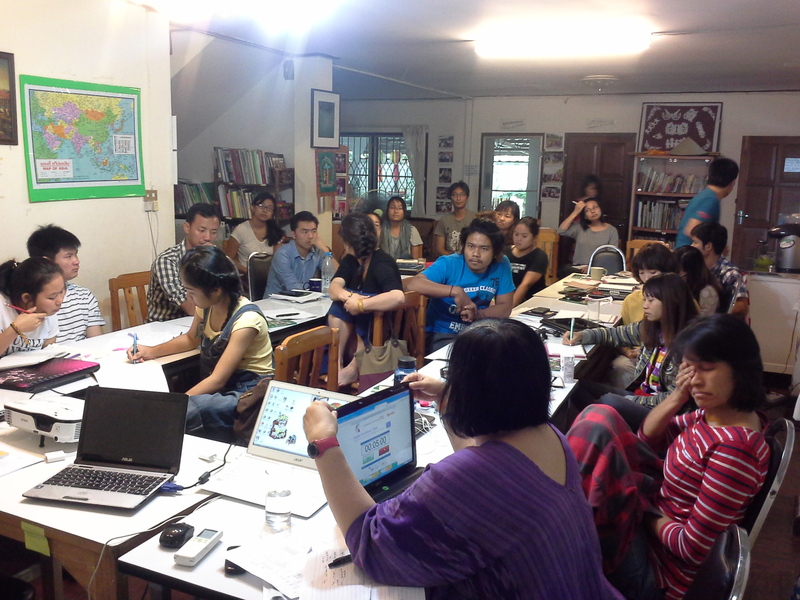 We have been training about advocacy training and study trip. 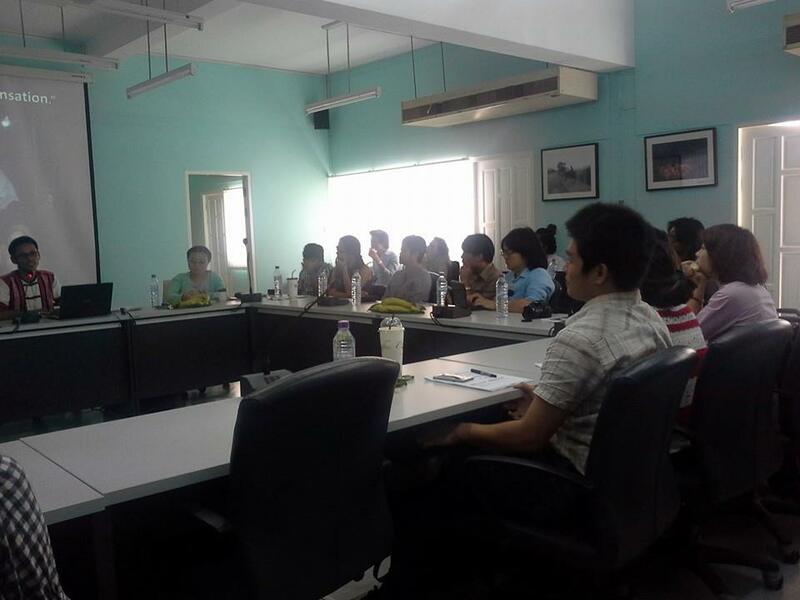 We joined event and held seminar about environmental, river, land, and developmental issue.